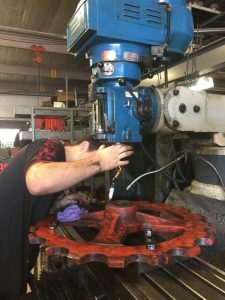 With a total of over 125 years combined experience of our staff in the Engineering Field we have completed since 1992, over 40,000 customers jobs from small to extremely large, which gives us a long history of experience to do your job accurately and in a professional and competitive manner. With a large variety of General Engineering Services available in our modern workshop at Donnelly Engineering, we offer a FREE pick up and delivery service in our Work Ute for the local Gold Coast Area, twice daily. Handling your Engineering needs has never been easier. We provide a service of ON SITE work for your convenience offering machinery maintenance, levelling, alignment, measuring tolerances, replacing bearings and machine modifications. We can also arrange design and construct drawings for your project in mind.